Newly-elected French president Emmanuel Macron has wasted little time in pushing forward his desire to reform the European Union. He met with German chancellor Angela Merkel just a day after his inauguration. They agreed to draw up a roadmap for deeper integration of the EU during talks in Berlin. The couple sought to reinvigorate the Franco-German relationship and the European project, after being shaken by Brexit. Merkel said: “We agree that we want to develop a road map for the European Union’s medium-term perspective. 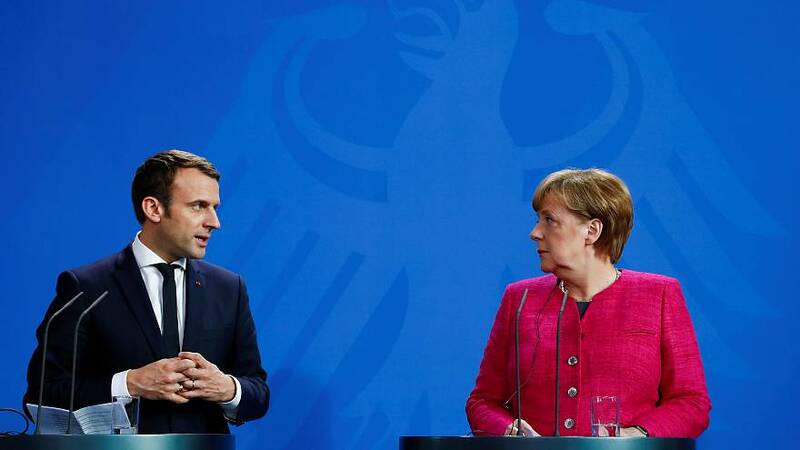 Macron added: “The Franco-German relationship needs to renew its pragmatism and voluntarism in the short term, but also in the medium-term, for the EU and the Eurozone, and it is in this spirit that we will work together. Crucially, both leaders also said they are open to the idea of changing EU treaties to allow for ambitious reform.